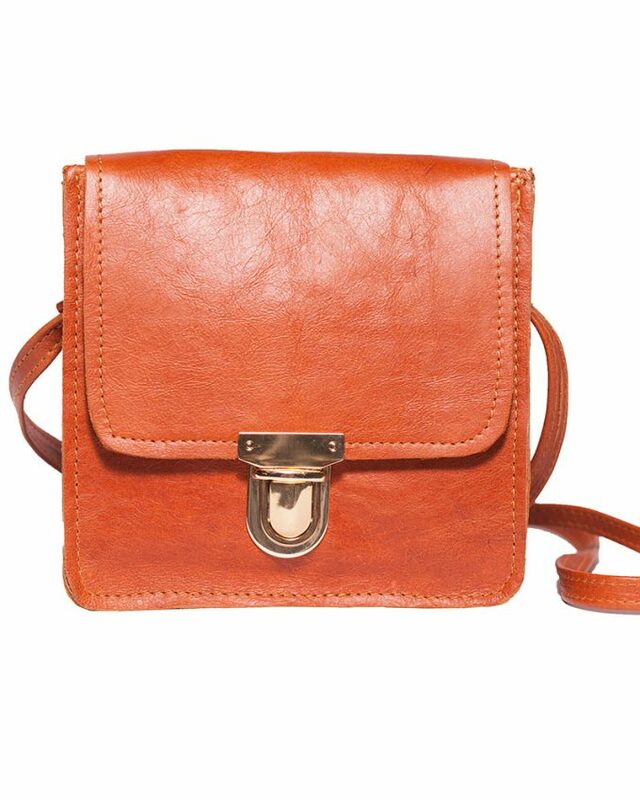 This Postman leather handbag in tan with gold buckle and cross body strap is cute and compact. 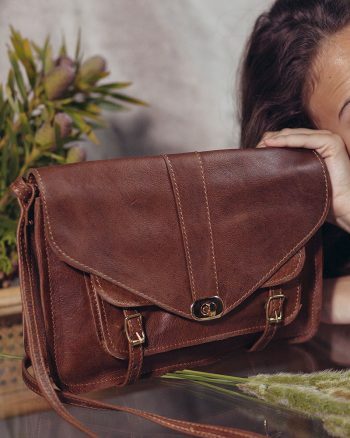 Designed in a classic style, these pieces are luxury items made to be passed down generations. 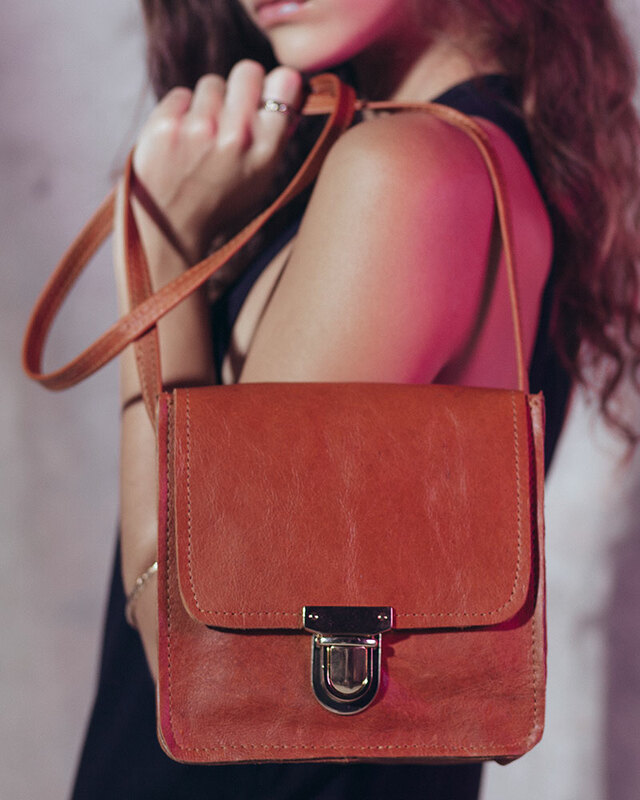 Our handbags are intricately crafted by a family run workshop of leather artisans based in the townships outside Cape Town. Leather is a flexible, durable and versatile material with significant longevity.